Our personalized commitment to our clients allows us to work with corporations of all sizes and industries. We believe that not-for-profit organizations are an integral part of the business world and despite working with fixed budgets, require the same high quality of accounting, tax and business solutions at competitive rates. FNPC believes that community is very important in our daily lives and as such, we aim to be active in various aspects of it. 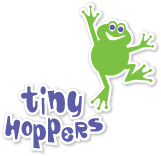 We are proud sponsors of the Tiny Hoppers Father Daughter Ball for the Children's Wish Foundation and the Testy Cup, a golf tournament that raises money for testicular cancer. At FNPC, we are committed to providing our clients with exceptional customer service tailored to each person’s and business’s situation. FNPC is an independent licensed public accounting firm founded in 2011 in Ottawa by Firas Nasser. Firas graduated from the Sprott School of Business at Carleton University with a bachelor of Commerce and earned his Chartered Accountant designation in 2009 while working with a multi-national firm on mid-size and large corporate clients. From there, he moved to a local firm, working with small businesses and individuals. Firas really enjoys getting to know his clients and their families, and establishing a relationship with them. Firas lives and works in Westboro, with his wife Alex, and their children Lily, Charlotte, and Jacob. Firas is an avid sports fan and has a passion for travel, as well as being active in the community. Give us a call or send us an email and we’ll give you our time. Let us show you how we can help you through a preliminary consultation, offered at no-charge. Each one of our clients receives personalized service and solutions geared towards achieving their goals.